In 1990 the US government enacted the Tibetan Resettlement Project. This project granted visas to 1000 Tibetans. In 1992, 162 displaced Tibetans arrived in Minnesota. 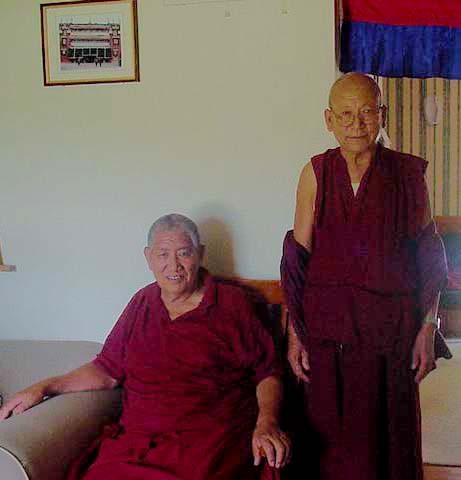 Two Tibetans, including Thupten Dadak, had been living in Minnesota since the mid- eighties. 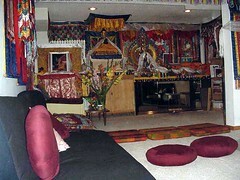 Dadak’s house quickly became known as the “Tibet House” for the many immigrants who slept at his home in the early days. 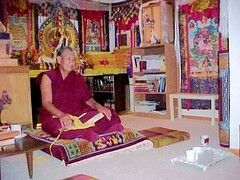 In 1992, Dadak also founded the Tibetan American Foundation of Minnesota (TAFM). The organization became the main welcoming post for Tibetans coming to the state. Their job was very difficult in the first couple of years, because the U.S. government did not grant the immigrants refugee status. Dadak and his supporters had to find jobs for the arriving Tibetans with out knowing them, their skills or their ability to speak English. 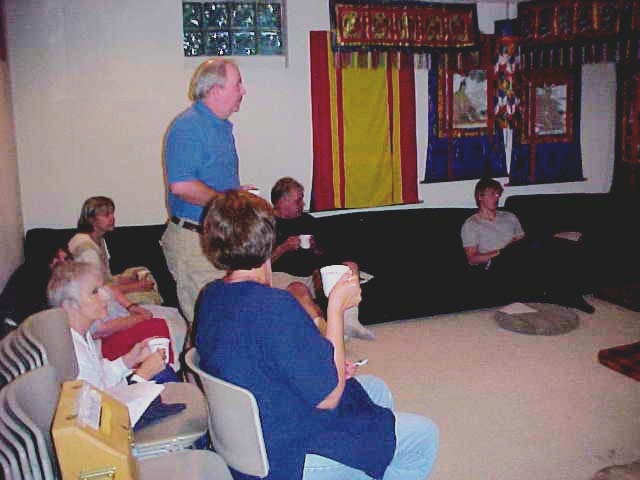 The INS began the family reunification program, in 1997, bringing more and more Tibetans into the Twin Cities. Currently the Minneapolis/St. Paul metro area hosts close to 1000 ethnic Tibetans, the second largest Tibetan community in the United States, next to New York. In the beginning the community would gather in churches and halls to celebrate and worship. 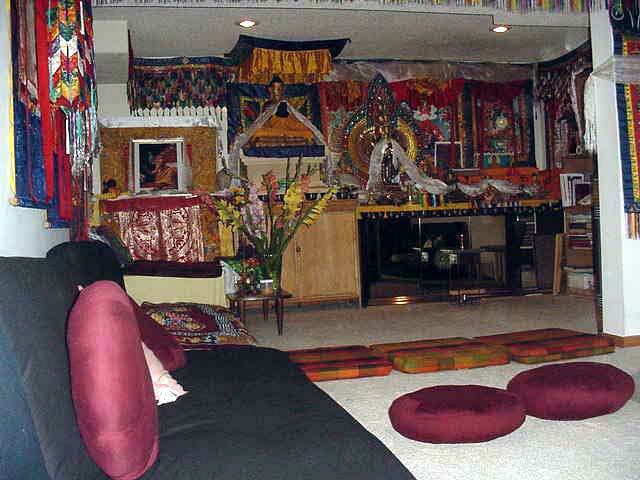 In 1994, His Holiness the Dalai Lama granted his permission and blessing to establish the Gyuto Wheel of Dharma Monastery in Minnesota, the only Gyuto branch outside of India and Tibet. In November of 2001, the monastery found a residence in a northern suburb of Minneapolis. It is presently the home to three monks and many activities. Although, the establishment of the monastery provided the Tibetan community with monks and a place to gather, the space soon became too small. The community rents out the National Guard Armory Hall in St. Paul for its large gatherings and celebrations. The community is presently seeking land for the construction of the Tibetan Community Cultural Center. The center would provide a place to gather and a means to preserve culture. Fundraising efforts for the center were assisted by a visit from His Holiness in May of 2001. His Holiness’ visit was very successful. In addition to the fundraising effort, of which His Holiness only took $40, the event educated Minnesotans about the Tibetan community. TAFM was founded in 1992. 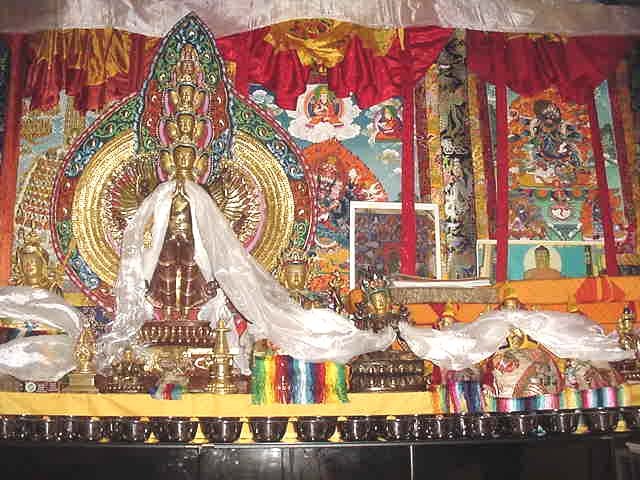 TAFM has created a variety of programs to support the Tibetan community. The Tibetan Cultural School teaches Tibetan language, history, and culture to children. It meets every Saturday at 9:00 a.m. at Grace Unity Church in Minneapolis. TAFM organizes traditional dance and music groups, which perform at celebrations and other events. They offer social service referrals, which connect families with needed services, in addition to educational and cultural outreach programs that share the history and culture of Tibet with Minnesotans. The foundation also hosts conferences. The last major conference drew members from other Tibetan associations located in different community clusters around the country. The newly elected Prime Minister of the Tibetan government in exile spoke at the event. TAFM also provides the community with a quarterly newsletter, Yakkety-Yak. An executive director and a board of local community members head TAFM. This Geluk monastery was established with the blessing of His Holiness in 1994. Only 50 of 900 Gyuto monks escaped Tibet in 1959. There are now over 400 Gyuto monks in India. Gyuto monks traveled to Minnesota many times before the establishment of the monastery. 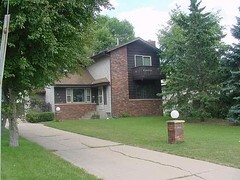 The monastery is currently located in Columbia Heights, a northeast suburb of Minneapolis. The monastery hosts classes for anyone interested on Saturday and Wednesday evenings at 7:00 p.m. On Saturday, the class hears a lecture on a sacred text and other religious instruction from a resident monk. On Wednesday the class participates in chanting. On Sunday night about 100 Tibetans gather to pray and chant, and westerners are invited to observe the ritual. Although the monastery serves the entire community, many Tibetans choose to practice their religion primarily in the home. Some reasons for this are the foreign nature of a monastery in an American context, specifically its size and architecture, and its affiliation with the Geluk sect. 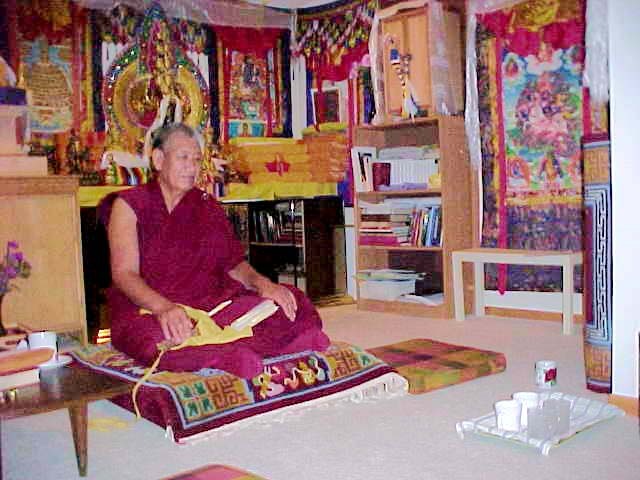 Some members of the Nygima, Sakya, and Kagyu sects prefer to worship at home. A number of active and retired monks of various sects live outside of the monastery. 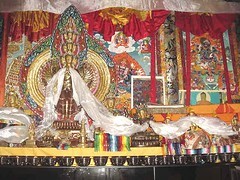 The Tibetan community celebrates a number of annual religious occasions and life cycle events. The three most notable religious celebrations are the Tibetan New Year in February, His Holiness’ Birthday in July, and the anniversary of His Holiness receiving the Nobel Peace Prize in December. There have also been five weddings in the course of Minnesota Tibetan history. They have followed along traditional lines and are remembered fondly by some community members. 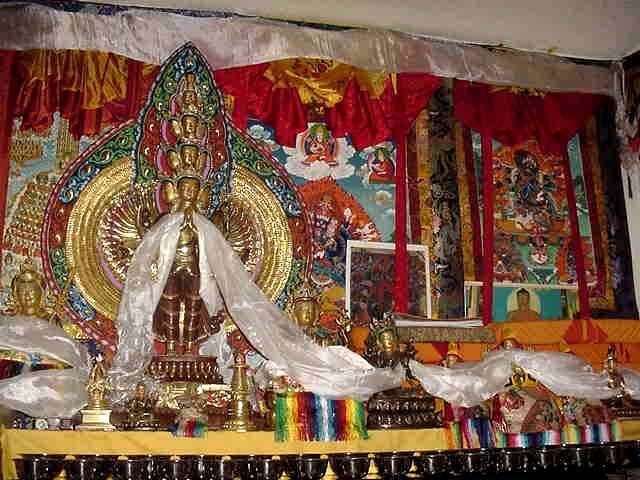 The Tibetan New Year (Losar) includes prayers by monks, traditional dances, food and fun. In Tibet and India this holiday is traditionally celebrated by families in their own homes. However, the Minnesotan expression of this event involves a community gathering. Minnesotan Tibetans follow many of the traditional observances, including painting the door and presenting gifts to deities on a shrine. However, they are not able to visit the high lamas as they do in Tibet and India. Members of the community will visit each other during the day, and at night they gather at a hall to celebrate. The birthday celebration is usually held in a park. Tibetan officials will give a talk and read the annual speech by his Holiness. Monks provide prayers and chants, local youth participate in traditional dances and songs, and there is sports, games, and food. Although Tibetans and westerners alike attend all of these events, the anniversary of the His Holiness’ Nobel Peace Prize is the most diverse event. It is described as a party where the achievements of His Holiness are honored.